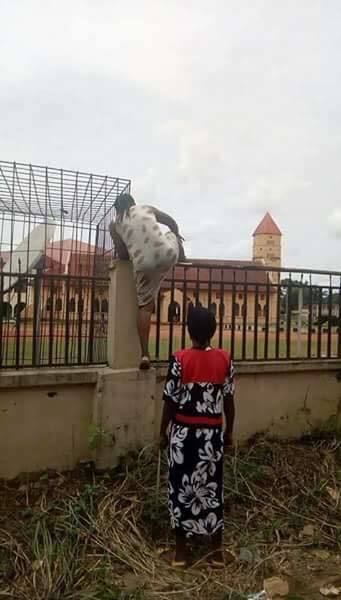 Pandemonium broke in some parts of Anambra state yesterday after IPOB members alleged that military officers had invaded some primary schools in Ozubulu in Ekwusigo local government area of the state to inject students with Monkeypox virus. 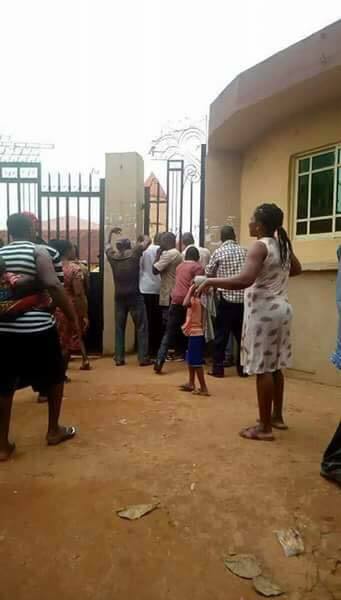 Parents ran with fear to the schools in the area to pick their wards. 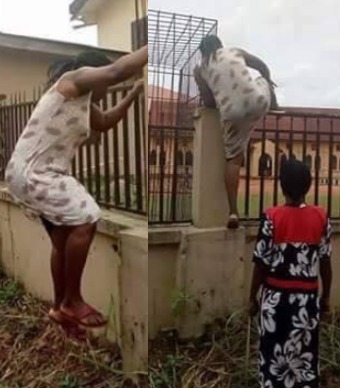 These photos show one of the mothers climbing the fence of a school so she can withdraw her child. The state government has however clarified that the military officers in the schools were in their for a medical outreach. 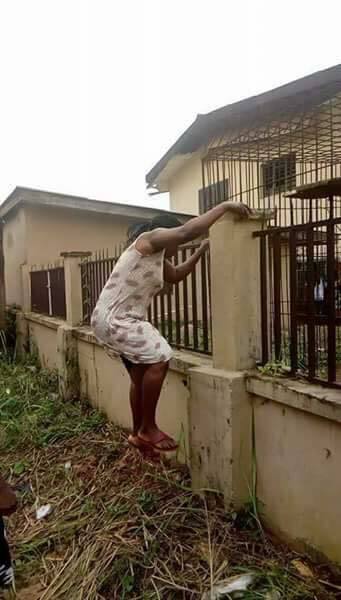 The school authority and residents of the community were however not informed hence the apprehension, Calm has however returned to the area. The military medical outreach has also been put on hold.